Dr. Joy Dental Clinic in Dubai is delighted to announce the introduction of our IV Sedation. Dr. Imad Ali, a General Anesthetist who studied in the UK and has over 30 years experience, can make your dental treatments more comfortable than ever. As many of you are aware, some children and adults can be terrified of the dentist. It is best to overcome this fear from an early age, as avoiding regular dental check ups can cause complications in the future. Studies show that 1 in 25 people suffer from dental phobia. 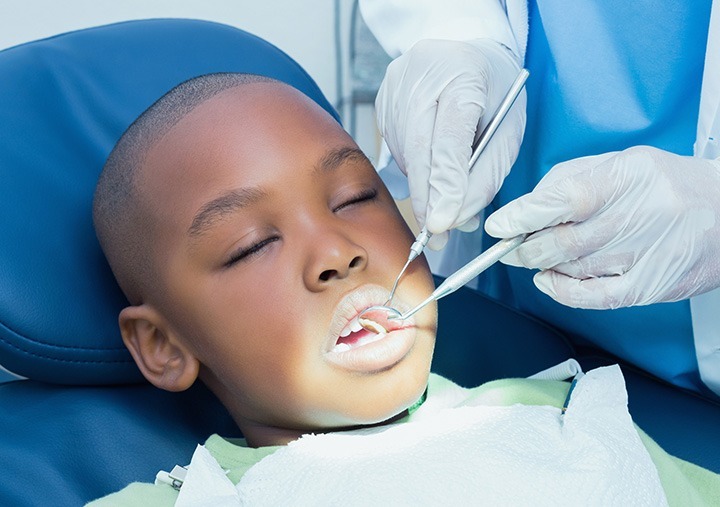 If a child is made feel relaxed in their initial experiences with the dentist, there is a lesser chance dental phobia will develop at a later stage. One of the main reasons people avoid going to the dentist is the fear of pain. IV sedation can eliminate this concern. Sedation dentistry is a medication given to patients to help them relax through their dental procedure. It can be used to make you and your child very calm before and during treatments. There are many forms of sedation, some can be very light such as Nitrous Oxide, or commonly known as laughing gas. IV sedation is given to the patient by our General Anesthetist. It is generally used for long or multiple procedures or if a person has high dental anxiety. It causes the patient to feel sleepy but does not put them asleep like a general anesthetic. Often patients cannot remember a lot of the procedure. IV sedation is quite moderate and sometimes referred to as “conscious sedation”. The drug is administered through a vein to allow it to work more quickly. It also allows the Anesthetist to adjust the level of drugs during the procedure. The IV sedation does not control pain; an additional shot is given by the dentist for this. Who can have IV Sedation at Dr. Joy Dental Clinic? IV sedation is used for patients who suffer from fear and anxiety when having a dental procedure. It is also given to people who have very sensitive teeth, a low pain threshold or a large amount of dental work to be completed. IV sedation is the solution for people who suffer from dental phobia or children who become distressed when visiting the dentist. It is best for children not to fear dental visits, as the hesitancy to go for dental check ups will continue as they grow older. Regular dental check ups can detect early signs of dental problems, which may prevent the need for more evasive treatments. Before undergoing sedation, the patient will be advised on home preparation before the treatment. This can include no solid food before the procedure or avoiding non clear liquids. Our Anesthetist, Dr. Ali, is great with both children and adults and can treat you in a safe and caring environment. Dr. Ali works from our Jumeirah branch in Dubai.